ShammingSituation: Book Review - One Year Of Stand Up Comedy Journey In India by Dr Jagdish Chaturvedi. 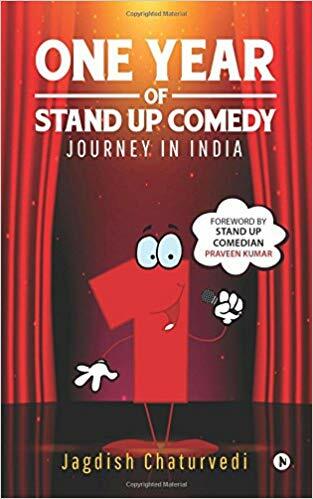 Book Review - One Year Of Stand Up Comedy Journey In India by Dr Jagdish Chaturvedi. When Jagdish Chaturvedi, a doctor-turned-innovator-turned-author, could not balance his schedule effectively to perform as an actor, he chose to transition from theatre to a comparatively less schedule-intensive art form - stand-up comedy. What are the challenges? How do you overcome them? How much can you earn and how can you sustain it on a regular basis? What are the key learnings to take from bad experiences? What shouldn't I do? This book shares raw experiences of a growing stand-up comedian and includes a separate section that provides valuable advice from seasoned and experienced stand-up comedians. This book aims to be a struggling comic's answer to all unanswered questions with the hope to help accelerate their journey towards faster growth as a stand-up comedian. This is the only Indian book on stand up comedy. There’s a beauty about Jagdish sir’s book, is he writes about his success and failures in such a witty manner and inspite of all this, leaves you pondering with such great preachings which is worth remembering and that can be imbibed and followed to succeed. As different people are exploring new and different fields, we are getting several new options of undiscovered and new fields to explore, one such book is ‘one year of standup comedy’ which talks about Dr Jagdish’s journey of exploring stand up comedy for the first year. What's unique is that everything that no one would share is written very honestly. Things like how to come up with jokes, make money, save a show when no one laughs and how to grow as a comedian. The frank and direct way of narration feels like a friend is sharing important tips. Around 40 established comedians from India also share their advices in between sections of the book. This is a must read for anyone who wants to try comedy and explore the profession of Stand-up comedy. So stand up, buy this book, read it and do comedy more efficiently.